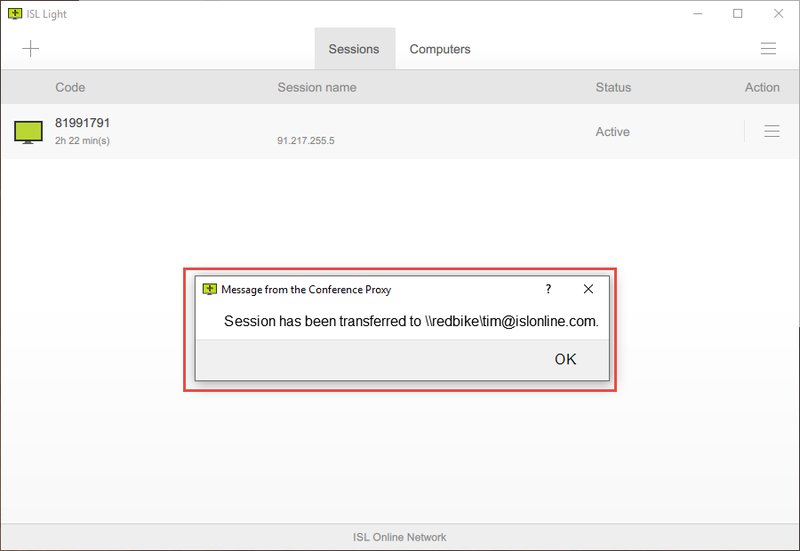 lSL Online supports transferring an active session to another user (operator). 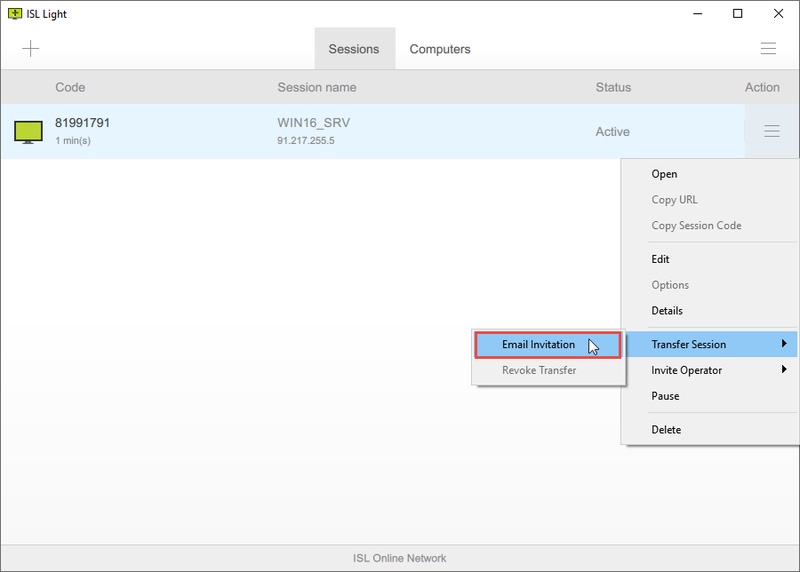 Click "Transfer Session > Email Invitation" from drop-down menu. Enter the email address and click "Send". 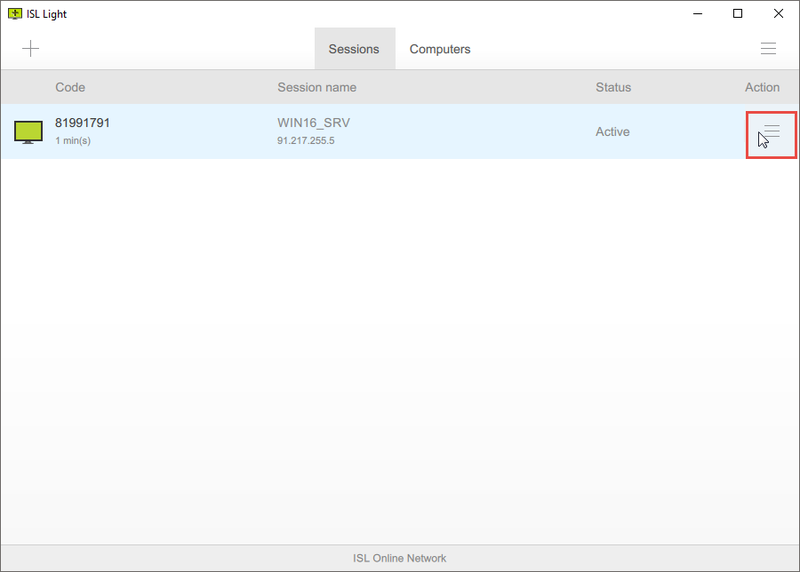 After sending a transfer session request to another user (operator), you still have an option to change your mind and to revoke your session transfer. 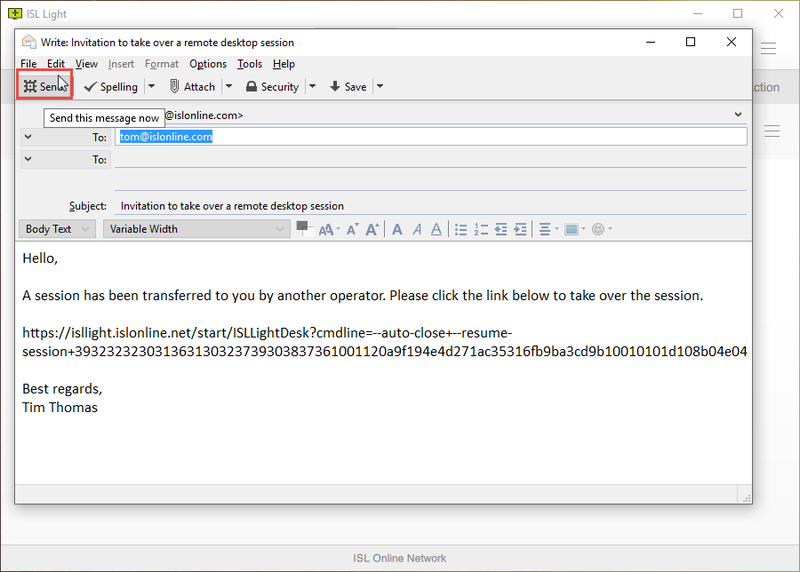 Click "Transfer Session > Revoke Transfer" from drop-down menu.